There was a problem with logging into O-Space this morning. The login links from ospace.otis.edu were not going to the correct login page at https://ospacelogin.otis.edu. If you were directed to the wrong login in screen (that had a green header image), you may have to close and re-open your browser for the fix to appear. 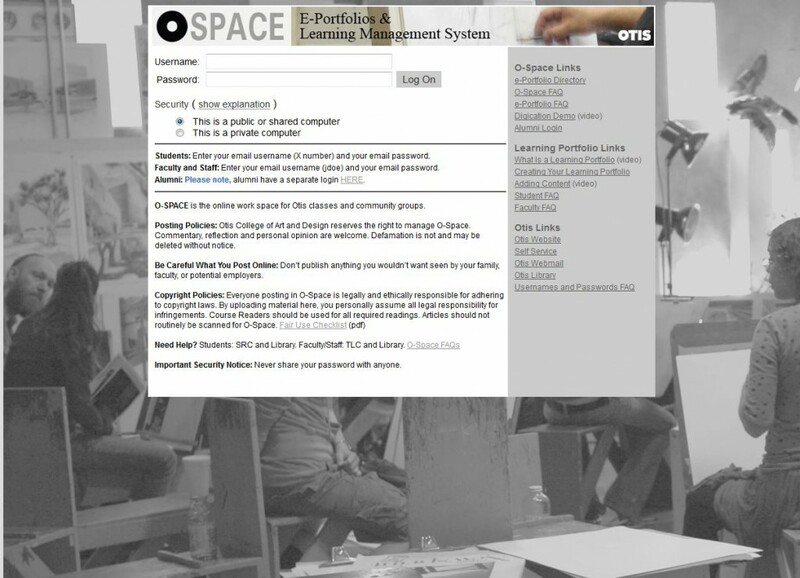 Below is a screenshot of the correct login page at https://ospacelogin.otis.edu. We encourage everyone to bookmark this page to access O-Space: https://ospacelogin.otis.edu. We apologize for any inconvenience this problem may have caused you.